Communal eating can shape or destroy relationships. 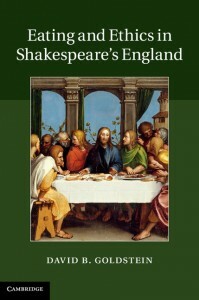 That’s what York English Professor David Goldstein found while researching and writing Eating and Ethics in Shakespeare’s England, published by Cambridge University Press. His book recently won the Shakespeare’s Globe Book Award for 2014.